White 2018 Maserati Levante Base Priced below KBB Fair Purchase Price! We proudly serve Schaumburg, Chicago, Elgin, Hoffman Estates, Crystal Lake and Arlington Heights. We look forward to making your experience at Zeigler Chrysler Dodge Jeep is as easy and enjoyable as driving your new car will be! If you have any questions, don't hesitate to contact us online, or stop by our dealership today! New Price! White 2019 Maserati Levante Base We proudly serve Schaumburg, Chicago, Elgin, Hoffman Estates, Crystal Lake and Arlington Heights. 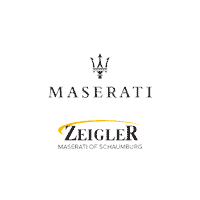 We look forward to making your experience at Zeigler Chrysler Dodge Jeep is as easy and enjoyable as driving your new car will be! If you have any questions, don't hesitate to contact us online, or stop by our dealership today! Bianco 2019 Maserati Levante Base We proudly serve Schaumburg, Chicago, Elgin, Hoffman Estates, Crystal Lake and Arlington Heights. We look forward to making your experience at Zeigler Chrysler Dodge Jeep is as easy and enjoyable as driving your new car will be! If you have any questions, don't hesitate to contact us online, or stop by our dealership today!